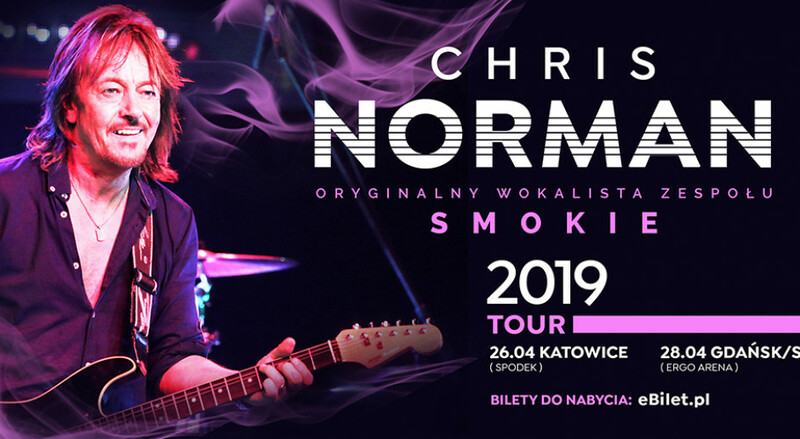 Chris Norman - the legendary vocalist of the band Smokie, one of the most original and well-known British musicians of the 70's and 80's, will perform in Spodek in April 2019! The legendary vocalist is one of the greatest stars of the 70's and 80's. Well-known from the Smokie team, he repeatedly occupied the first places of the European charts. He began his solo career in 1987, spending from then until several albums. His last performance in Poland took place in 2014. The well-known hits of the vocalist such as "Living Next Door to Alice", "Midnight Lady", "It's Your Life" and "Baby I Miss You" for many months occupied leading positions on the charts. They will also be present during concerts that were already planned for April 2019. 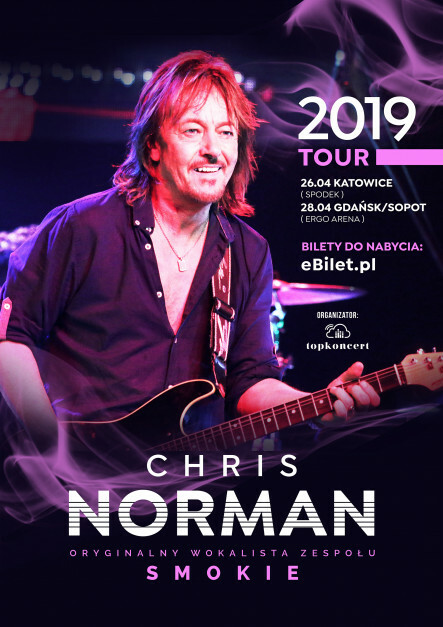 The tour organizers emphasize that they chose Chris Norman to come out of sentiment for years of his youth and times when the company was divided into fans of Smokie, T. Rex, Slade, and Ozzy Osbourne, and the walls of the rooms were stuck to the ceiling with their posters.